And of course, a food-grade cedar plank! Submerge the plank in water for at least 20 minutes and up to 4 hours. TIP: You can pre-soak your planks and freeze them for later use. TIP: The longer you soak, the more you will taste the cedar in the final product. Mmmmmm good. Combine sugar and seasonings to make a rub. Place salmon on soaked plank (skin side down if not skinless) and rub with seasoning mixture. Place the plank on your grill and turn the heat down to low. Close the lid and walk away! Grill to 135 degrees (about 10 to 20 minutes depending on the thickness of the fish. Charcoal grills will take longer.) We highly recommend using a thermometer for this. Fish can overcook in the blink of an eye. The salmon should flake easily and still be moist when finished. Serve with gf and me’s spinach salad for an amazingly fresh combination of flavours. One of our favorite BBQ dinners! 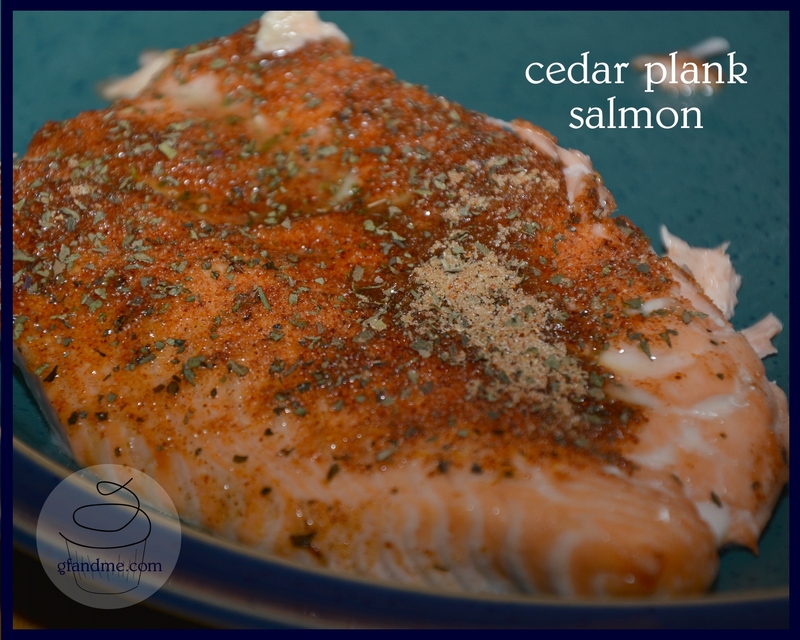 This entry was posted in Lunch and Dinner, Recipes and tagged BBQ recipes, BBQ salmon, cedar plank recipes, fish recipe, GF, gluten free salmon, how to cook salmon, rub for salmon. Bookmark the permalink. Great idea for May long week -end! And I know you’d love it! Have a good weekend!